Having worked with Location over the past five years working on the new direction was a dream for us, we already had a great understanding of the business, the flaws of the previous branding and what needed to be done to propel the business to the next level. 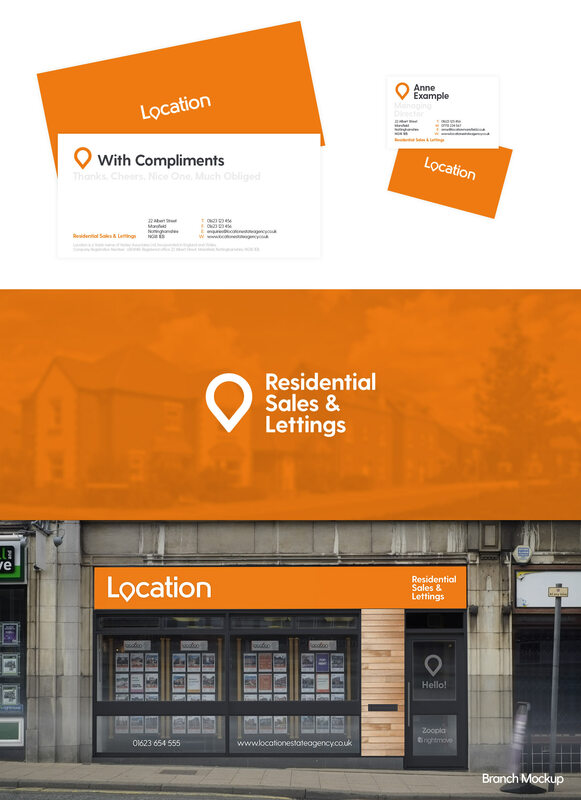 Location have branches in Mansfield, Sutton In Ashfield, Kirkby In Ashfield and Mansfield Woodhouse, the branding project saw us undertake the new logo, stationery, branch signage, sales and lettings boards and ideas for the branch interiors. 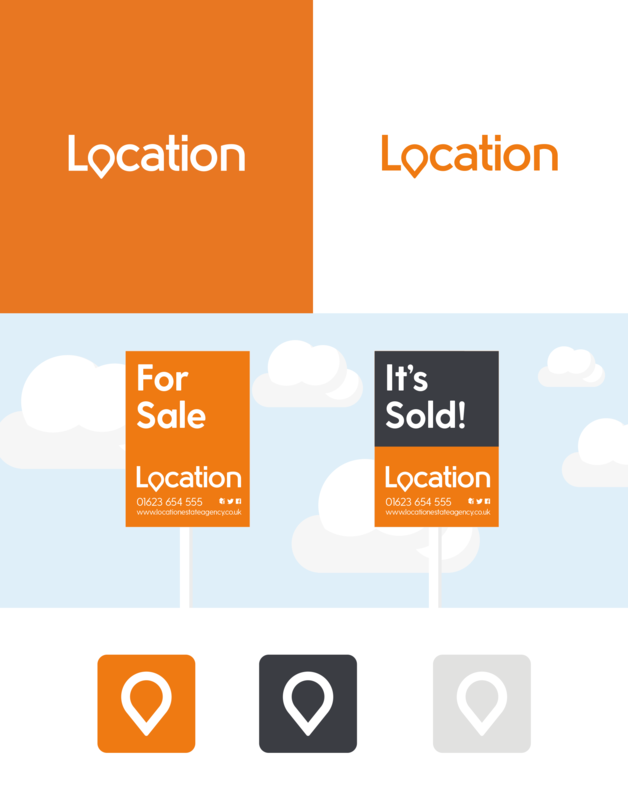 We didn’t want to lose the companies signature orange colour scheme, afterall this is a company that has been working in the area for 10+ years and has built up an excellent reputation, the orange is what instantly sets Location apart from the rest of the agents. Anyway, who doesn’t love orange?! The old brand used various colours within the logo which became troublesome when displaying the logo on various backgrounds as tends to happen during marketing campaigns. It was vital we made the new brand minimal but in a way where it was clear on the sales and rentals boards all over the county, we didn’t want a loud brand experience to complicate things in the future. 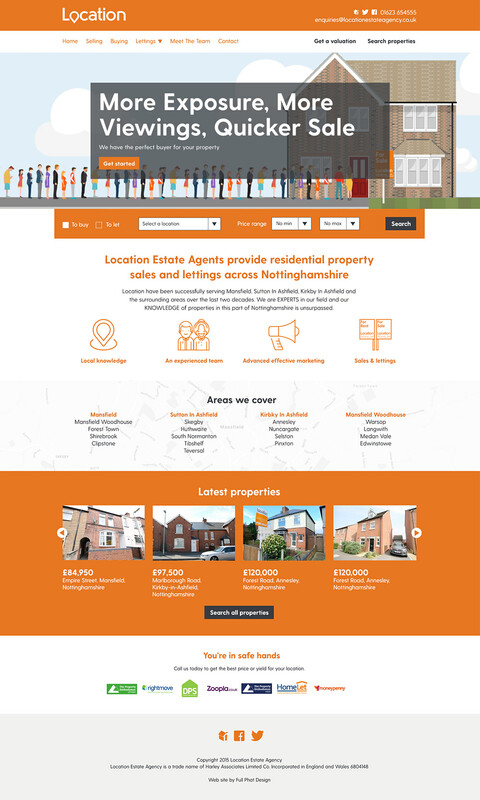 The Location web site we designed and developed was built with WordPress to allow the team at Location to edit content in the easy to use admin area which we customised to match the content it housed. The next challenge with the site was how we could get the properties that the company had available to let and sell listed on the web site without the staff at Location having to add them to their Dezrez software and then separately to the web site. This is when we discovered the DezRez WordPress plugin which allowed us to integrate the software with the web site as well as Rightmove, Zoopla and all the other property portals in one swoop!